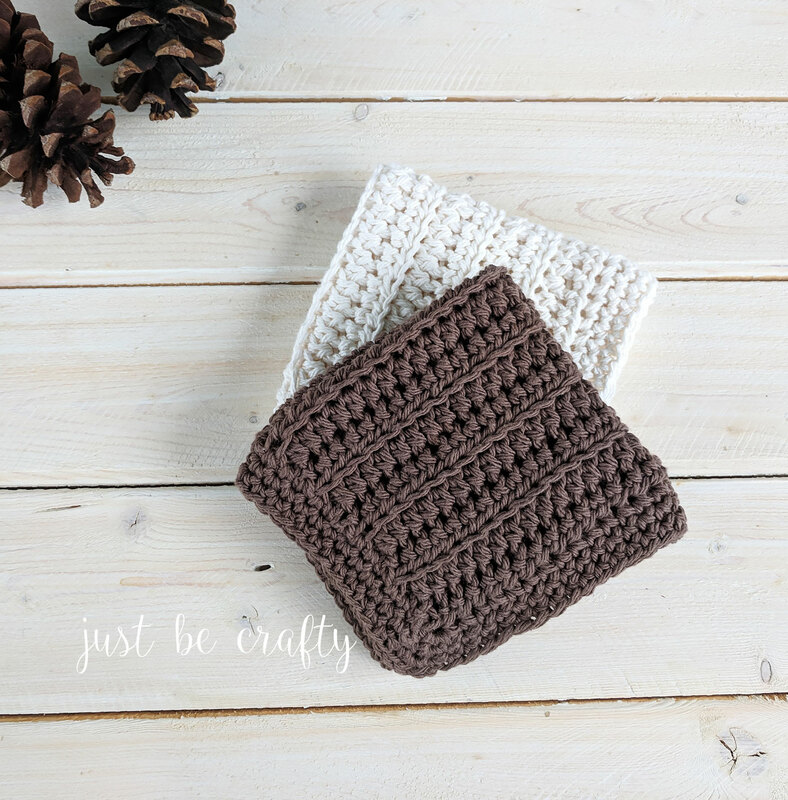 The Woodland Cottage Crochet Dishcloth Pattern makes for a great beginner project. 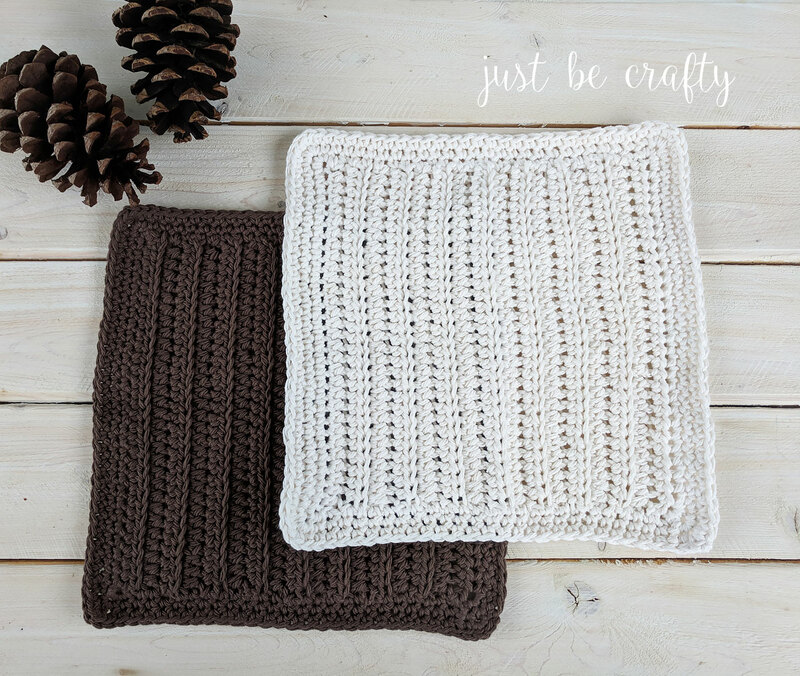 Consisting of only half double crochets and a single crochet border this dishcloth features a beautiful ribbed texture and would be a wonderful addition to any kitchen! Hello and welcome back to the blog! Today I am sharing a new pattern with you – the Woodland Cottage Crochet Dishcloth. 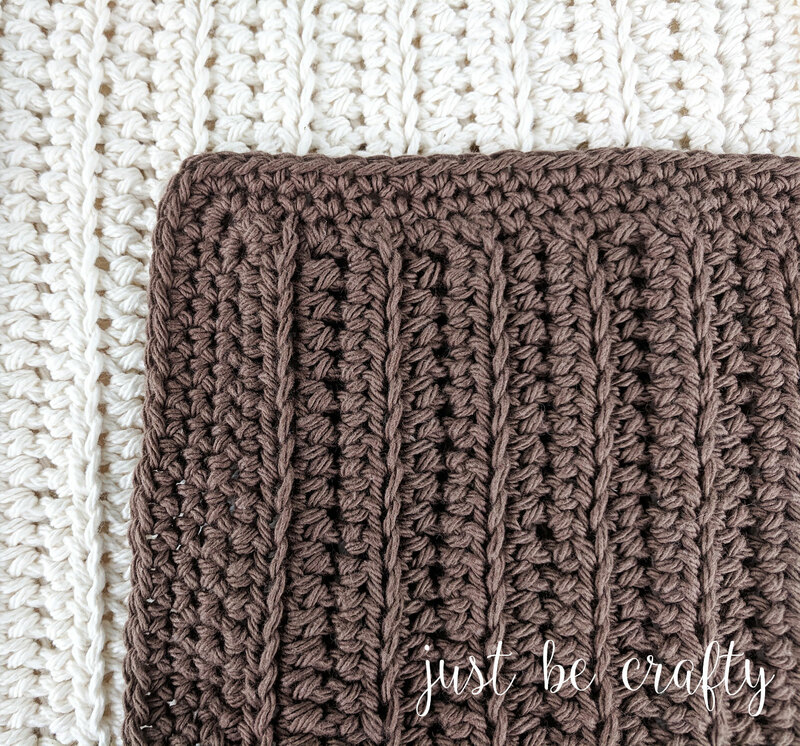 I love making dishcloths because they are super easy and fairly quick to make. For this project I tried a new yarn, Peaches n’Cream. It is very affordable and can be found at Walmart (I think that might be the only store I have seen it sold), and I have to say I absolutely loved it!! The dishcloth pictured in cream was made with my “tried and true” Lily Sugar n’Cream and the brown was made with Peaches n’Cream. 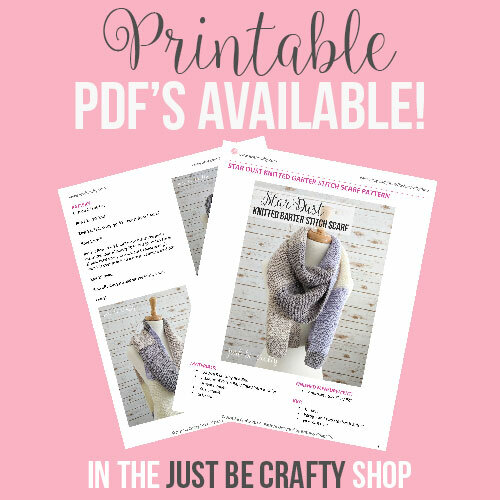 A few of my favorite patterns using cotton yarn can be found here, here, and here. I have to say that the brown dishcloth (Peaches n’Cream) came out SUPER soft with a beautiful loose drape and the cream colored dishcloth (Sugar n’Cream) came out a bit scratchy and more stiff/rigid. For my first time using Peaches n’Cream I have to say that I am super impressed. While I still love Sugar, I will definitely be reaching for Peaches more often! What’s your favorite cotton yarn?! I’d love to know! 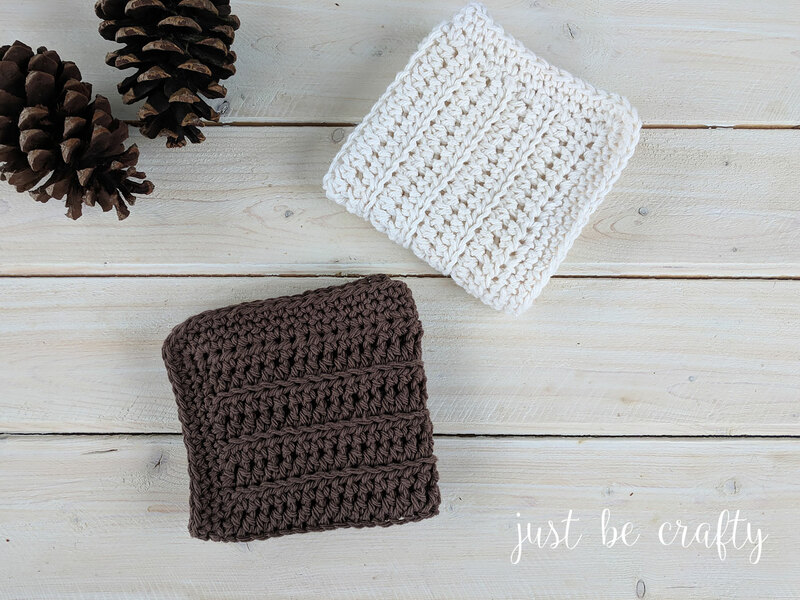 To view the pattern to make your own dishcloth, keep on scrolling! Cut yarn, secure and weave in any ends. Is there anyway to get a printed copy of the pattern without the comments and advertising? I am willing to pay for it. Hi Estelle! Yes! The printable version of this pattern is now available for purchase here in my shop. Oh this looks lovely Brittany, I’ll definately try these out. Did it use much of the cotton skein? Thank you so much! This dishcloth is a little larger than my typical size. You might be able to get two out of a 4oz skein, but it might be a stretch! Hi Huguette! Yes, the cotton yarn is washable. The care instructions for the yarn should be included on the label. I typically just wash these along with my other kitchen dishcloths and tumble try as usual. Hi Faith! That’s wonderful! I’m so glad you enjoyed the pattern!! Mercerized cotton is a pretty fine fiber and is typically used for more delicate pieces like a doily – just because it is thin (but it’s strong!). 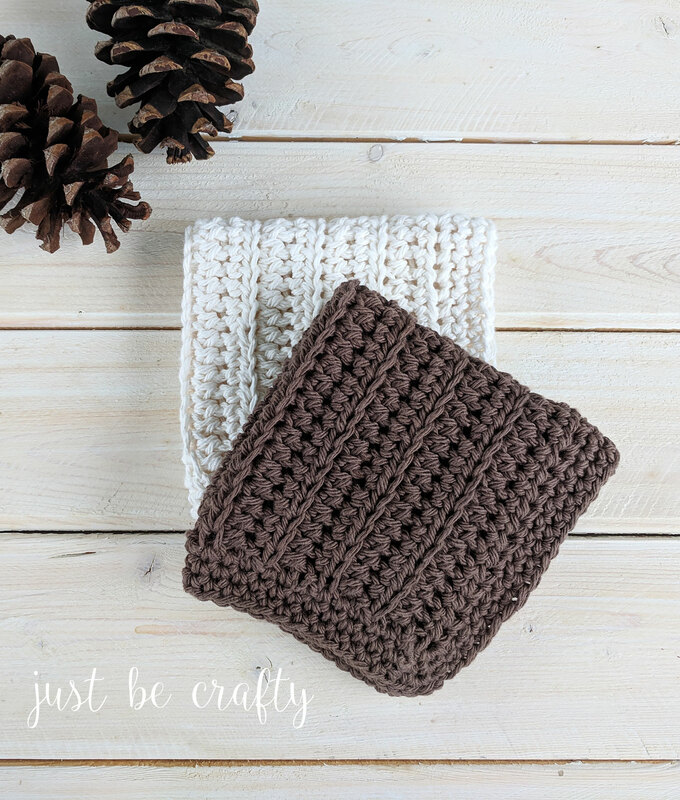 Though I haven’t tried it, you could probably use it for a dishcloth but might need a little “beefed” up by crocheting 2 strands of it together at the same time. In my opinion, it might be a little too thin and airy for a potholder. I actually have a hard time finding mercerized cotton in my area, but will need some for an upcoming project! I have tried Hobby Lobby’s Sinfonia for a shawl and I love it! I know Lion Brand also has one. It is not carried near me but I know it can be found online. I love this pattern! I was looking for the yardage of this project and didn’t see it in the blog post. But if anyone is wondering, I estimated that it’s about 70 yards of yarn. I used a 150 yard skien of Sugar ‘n Cream yarn and got 2 dish cloths out of it, with about 10 yards left over. Thanks for the pattern!